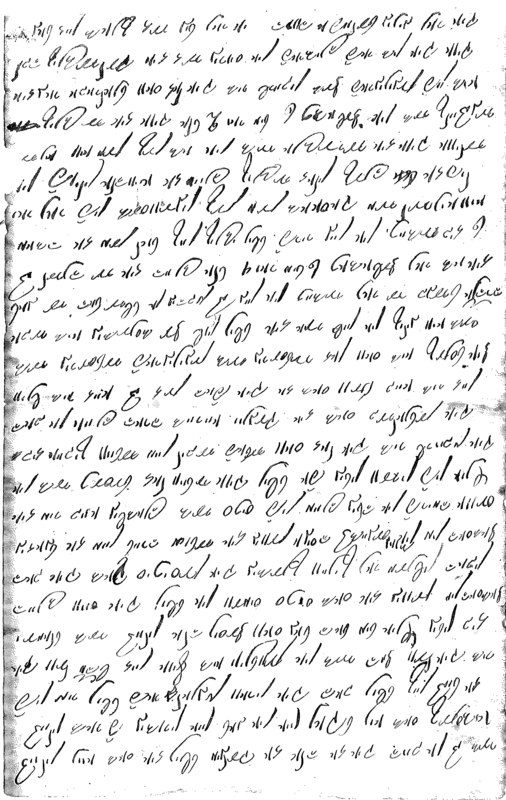 Can you help decode this 19th-century document? Bookplate from the Underhill Bible. 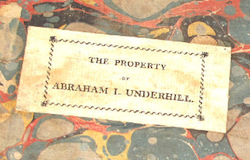 Last month we posted pictures of a bible offered on eBay, bearing the bookplate of Abraham I. Underhill, one of the three Underhill brothers who started the flour mill on the Croton River in 1792. We were thrilled (and proud) when the Westchester County Historical Society immediately purchased this treasure, after we alerted them that it was available. What does it say? Is it simply a mundane document, slipped into the family bible? 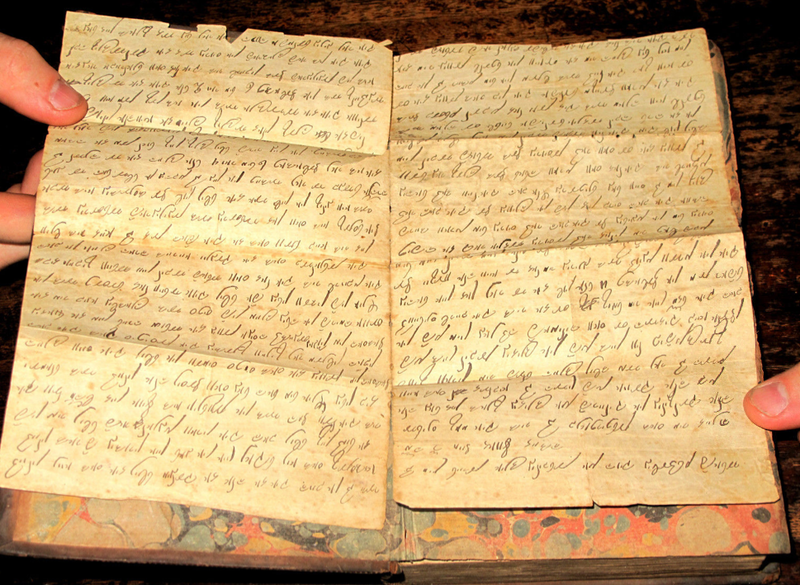 The minutes of a Quaker meeting in Croton? A document relating to the long-running legal battle between the Underhill and Van Cortlandt families over the Croton River mill? 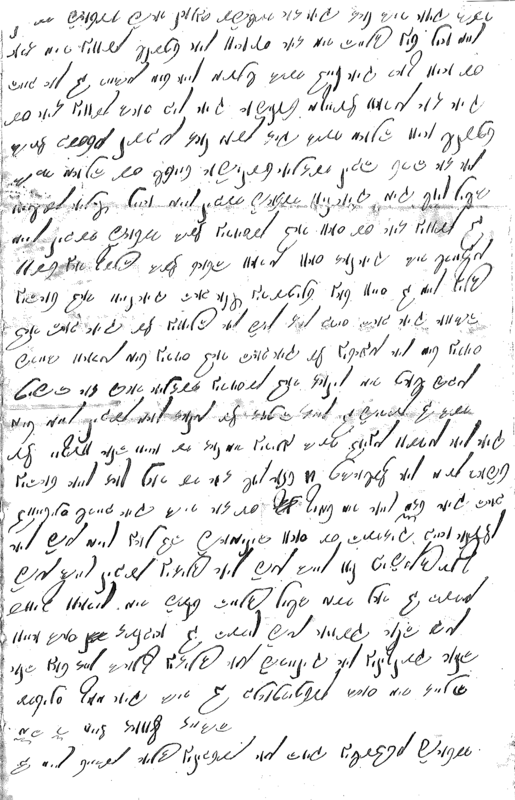 If you happen to have expertise in 19th-century shorthand please contact me. Below are high-resolution black-and-white scans of the pages. Click to enlarge them. Thanks to Patrick Raftery, Librarian of the Westchester County Historical Society, for providing these images. This is in Yiddish and you have printed it upside down. Great to hear from you. Since posting the images I’ve been in touch with several experts who did determine that the writing is Hebrew, but I haven’t had time to do a follow-up post. Are you able to read enough of the document to get a sense of what it is about? If not, do you know anyome who might be able to read it? The main thing I’m interested in is whether the document relates to the Underhill family in some way or if it’s an unrelated document that was slipped into the book by a subsequent owner. Take it to Rabbi Jennifer Jaech at Temple Israel. Its in Hebrew script. The photo appears to be backwards. She can read it and translate it for you. On second look, it’s not backwards, but some letters appear to be in block print and others upside down. Curious.